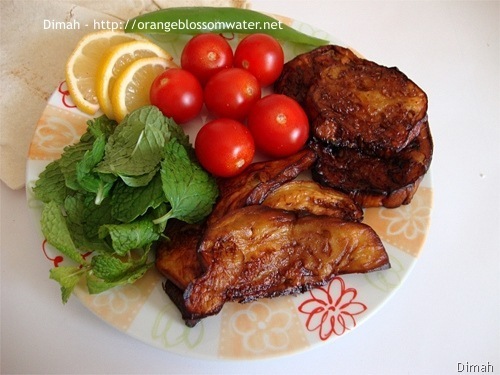 Bathenjan Meqli means Fried eggplants, very popular in Syria, easy and delicious. 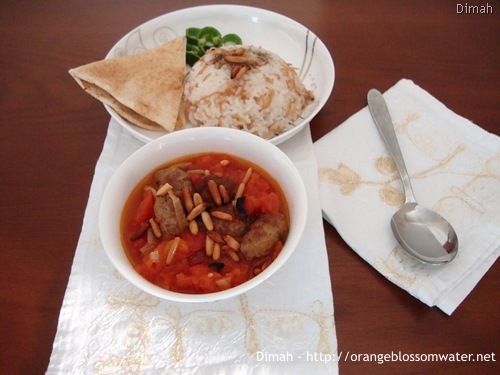 Kabab Hendi is prepared from tomatoes, ground meat that is shaped into small size kabab, and onions, this mixture is cooked in the oven and served with rice. 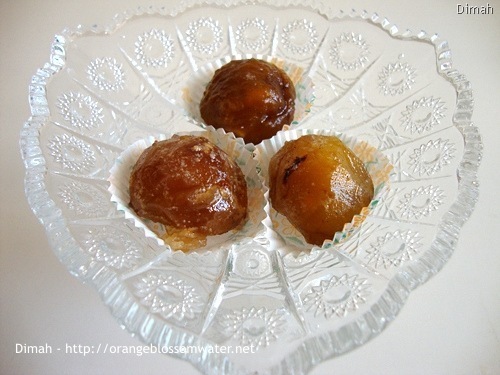 Marrons Glacés are chestnuts which are candied in a syrup solution and then dried. Marrons Glacés may be eaten on their own. They are also the basis for many desserts, among which is the famous “crème de marrons”, flavored with a hint of vanilla, and itself a staple ingredient for other desserts, such as the Mont Blanc (puréed with cream), ice creams, cakes, sweet sauce or garnish for other desserts. 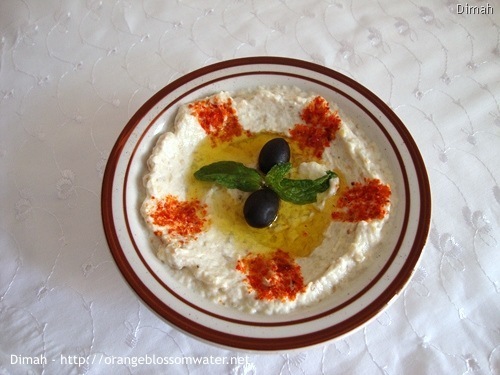 Mtabbal Al-Bathenjan is prepared from smoky eggplant mixed with yogurt, tahini, crushed garlic and salt. 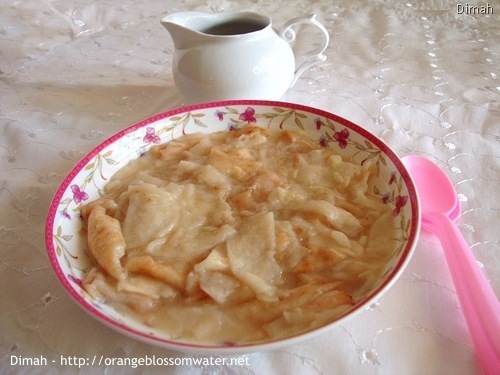 Some countries call it Baba Ghanouj, but in Syria Baba Ghannouj is different from Mtabbal. Everybody knows Fattoush which is prepared from vegetables, but today’s recipe is about another type of Fattoush that is famous only in Hama, Syria. Fattoush Maleh means Salty Fattoush, it is prepared from Arabic flat bread cooked with ghee, crushed garlic, water. and salt. The unique flavor of Fattoush Maleh comes from using Samneh Arabi (Syrian ghee made from sheep’s milk). Fattoush Maleh is prepared for breakfast, and served with pomegranate molasses.